Too Nice to Say No! Being assertive means being open and honest with yourself and others, listening to other people’s points of view, handling conflict with confidence, and resolving difficulties without sacrificing your own needs. This interactive workshop will give you the practical techniques to put you in charge of your life. Reduce stress by building confidence, so you no longer feel threatened or victimised when things don’t go as expected. Get to win/win agreements faster by stating your needs clearly and encouraging others to do the same. Know how to gain more control in situations that are important to you. Anyone who wants to have more influence and negotiating power in everyday situations without upsetting or alienating friends, family and colleagues. And particularly anyone who wants to feel totally comfortable and confident about having their needs met. Judi Goodwin specialises in courses to help people access creativity and fluency in writing. She runs one and two day workshops for colleges, universities and writing groups as well as for commercial, public sector and not for profit organisations. See www.judigoodwintraining.com. She believes everyone has the ability to write well and brings a whole person approach to her training. Following the introduction of her highly acclaimed Unleash Your Writing Power course in 1995, she has developed a range of workshops which focus on autobiography, fiction, journalistic features, writing for well being and writing for personal development. She is a freelance journalist with wide experience in magazines, newspapers and broadcasting and runs courses in the UK, Europe and the Far East. 11 May Too Nice to Say No! For information on courses specially tailored for your group click here, or contact Judi. 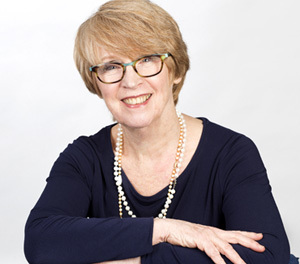 Judi Goodwin also runs courses for professionals in PR, journalism, business writing and jargon busting. Contact Judi for more information here.